Front Text: "Hankow. 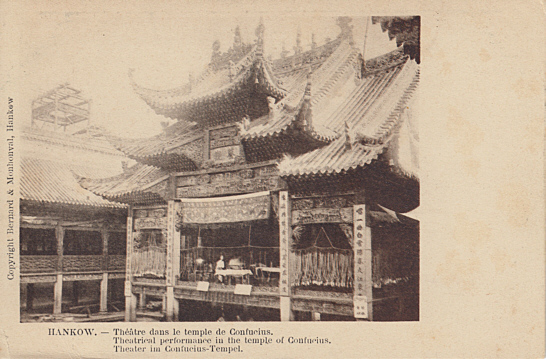 - Théâtre dans le temple de Confucius. Theatrical performance in the temple of Confucius. Theater im Confucius-Tempel"